Jenny Holzer presents texts from declassified US government documents covering events that occurred during the conflicts in Afghanistan and Iraq immediately after 9/11. 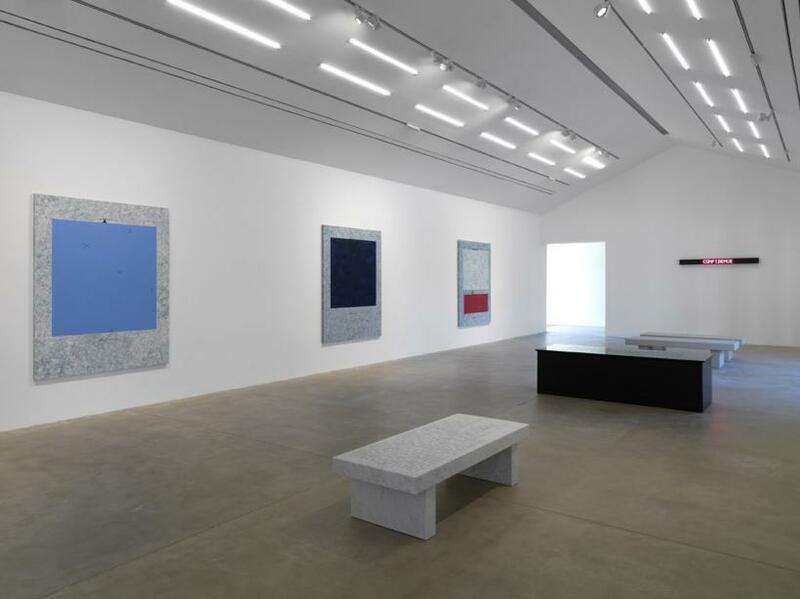 The documents’ contents, though largely redacted, contrast starkly against the affluent surroundings of the gallery setting. 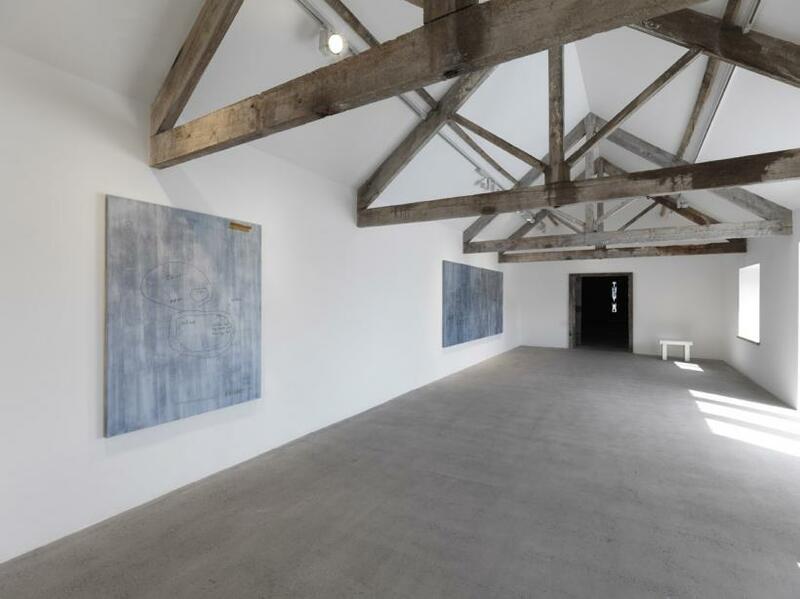 Absurdly, we read about waterboarding and other interrogation techniques in the comfort a 17th century farmhouse that has been converted into an art gallery. Only we don’t read about waterboarding. We read only the words, ‘water board’ as it constitutes the only declassified content on page 18 of this particular document; this particular ‘Redaction Painting’. Another, bearing only the phrase ‘shifting to softer targets’ gives the exhibition its title. 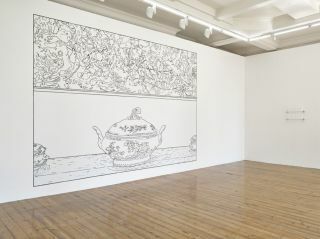 Holzer and her assistants have painstakingly rendered these A4 pages in oils on canvases typically 1 x 1.5 metres in size. Their scale and appearance – two large blocks of bold colour (black, in this case), centred vertically, one above the other – implies a more hard-edged, monochrome version of Mark Rothko’s colour field paintings of the 1950s; a new, digitised chapter, in the story of the artist in search of raw human emotion. 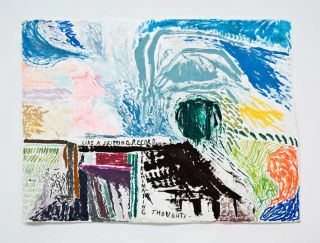 These ‘Redaction Paintings’ mark the latest development in Holzer’s career, which she has dedicated to exploring modes of presentation through which to express her text-based ideas. 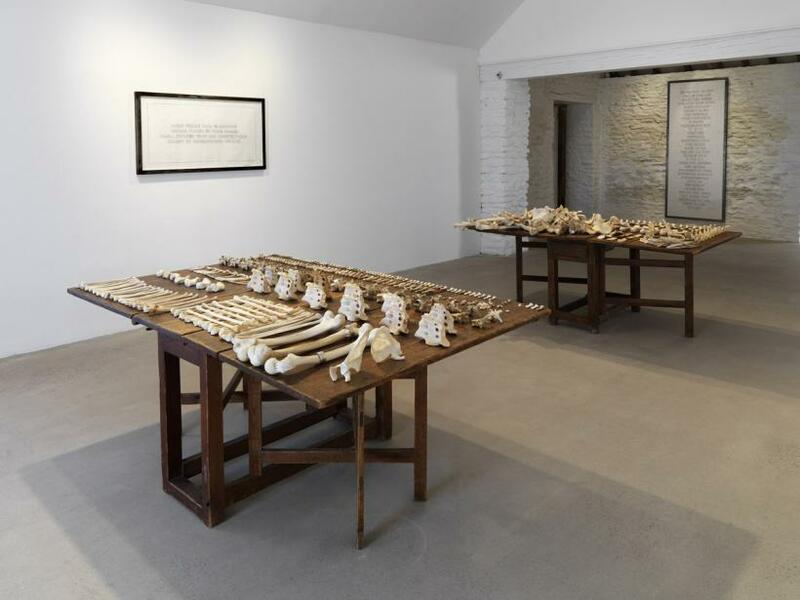 ‘Softer Targets’ also contains work from ‘Truisms’ and ‘Inflammatory Essays’ (1979 onwards) through ‘Living’ (1980-82), and ‘Survival’ (1983-85), to ‘Lustmord’ (1994) – the latter a collection of human bones, ringed with engraved silver that tells a story of sexual violence during the Bosnian War. Holzer is perhaps best known for utilising the enormous LED news display in Times Square as a means of presenting PROTECT ME FROM WHAT I WANT (Survival 1985), and clearly her work in this medium is not yet complete. 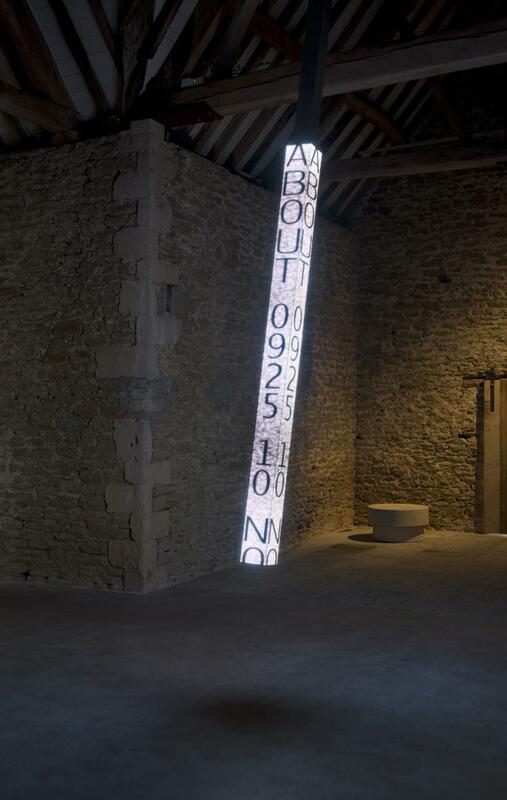 In the first of five galleries given over to ‘Softer Targets’ we encounter, in a darkened barn, ‘MOVE’, a swinging vertical display unit, hung from the rafters like so many deposed dictators. 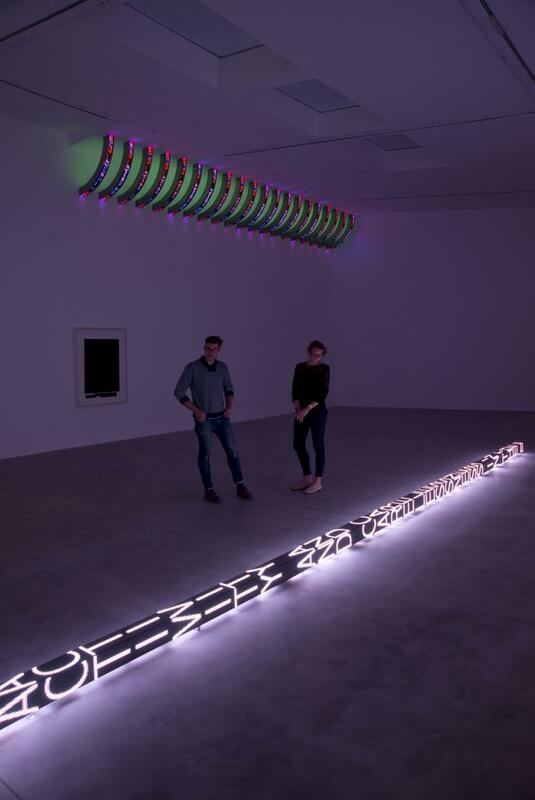 Text streams down each of its four sides, stopping short of dripping to the floor, while its whirring mechanics are audible in two adjoining galleries. 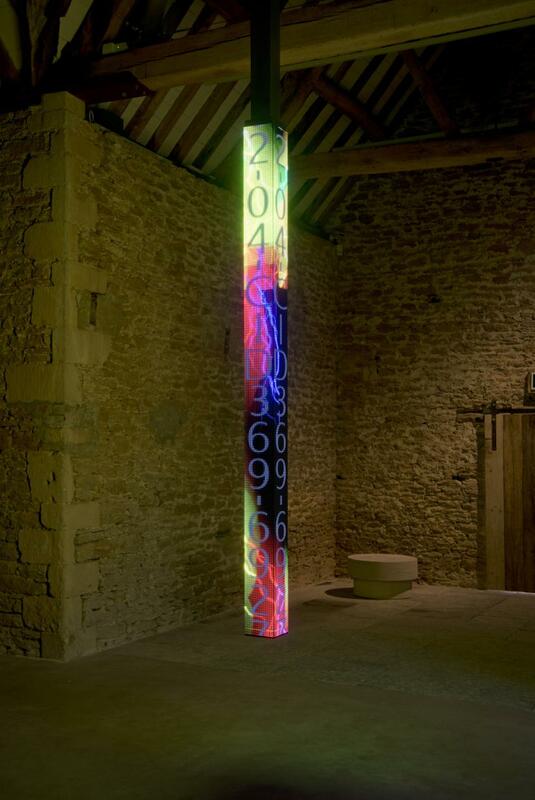 Another large LED piece, ‘FLOOR’, has been specifically tailored to the Rhoades Gallery – Hauser & Wirth Somerset’s largest. It stretches out along the floor forty feet into the space, and contains texts from ‘Truisms’, ‘Inflammatory Essays’, and more from declassified US government documents, all of which stream in the same manner as those in ‘MOVE’. High up where ceiling and wall convene, ‘PURPLE’ displays more of the same. 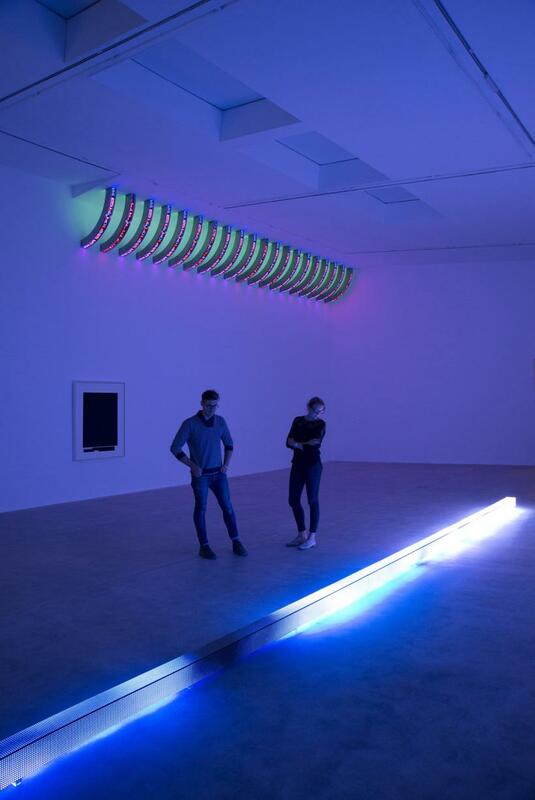 The effect of so much LED in one room bears comparison to any of James Turrell’s installation works, where light alone takes colour field painting off the canvas altogether. 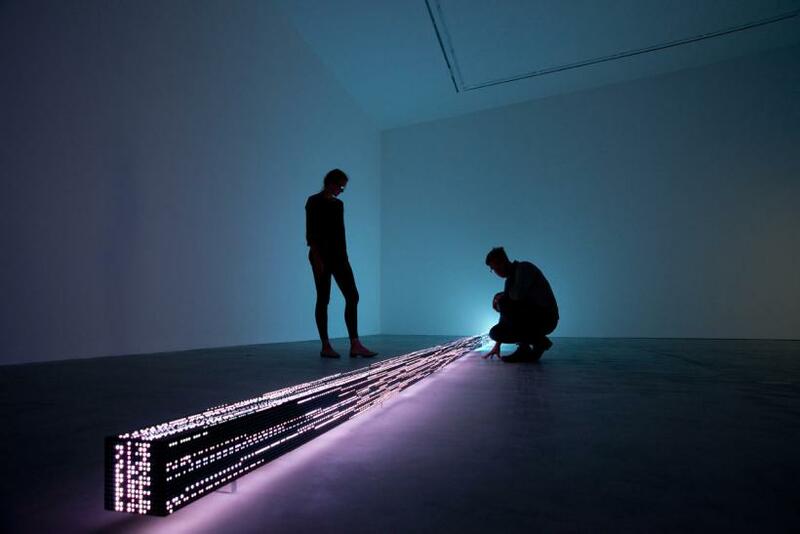 ‘Truisms’ remains the stand out project of Holzer’s earlier career. Now comprising over 200 pieces these short aphorisms capture, among other things, an ethos, RAISE BOYS AND GIRLS THE SAME WAY, or a general truth, ABUSE OF POWER COMES AS NO SURPRISE. 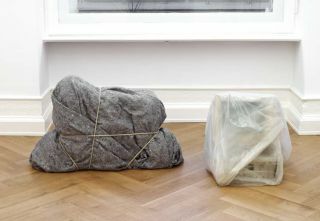 The entire collection is never shown in one place, and here the selection is as careful as ever, so we see the ‘Redaction Paintings’ alongside a marble footstool engraved with DIE FAST AND QUIET WHEN THEY INTERROGATE YOU OR LIVE SO LONG THAT THEY ARE ASHAMED TO HURT YOU ANYMORE (2006). Contrary to the more general scope of previous series, which covered feminism, politics, domestic violence, and power dynamics, ‘Softer Targets’ shifts to focus aim on state secrets, cover-ups and government corruption. 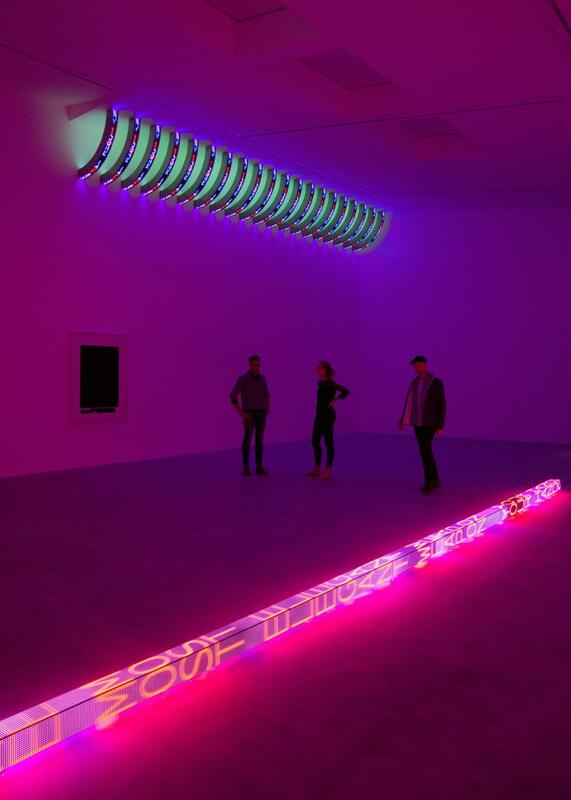 This shift also appears to represent a desire for the work to be classed alongside other legendary American artists – Rothko and Turrell, for example - as if Holzer’s earlier work had not already been afforded that accolade. 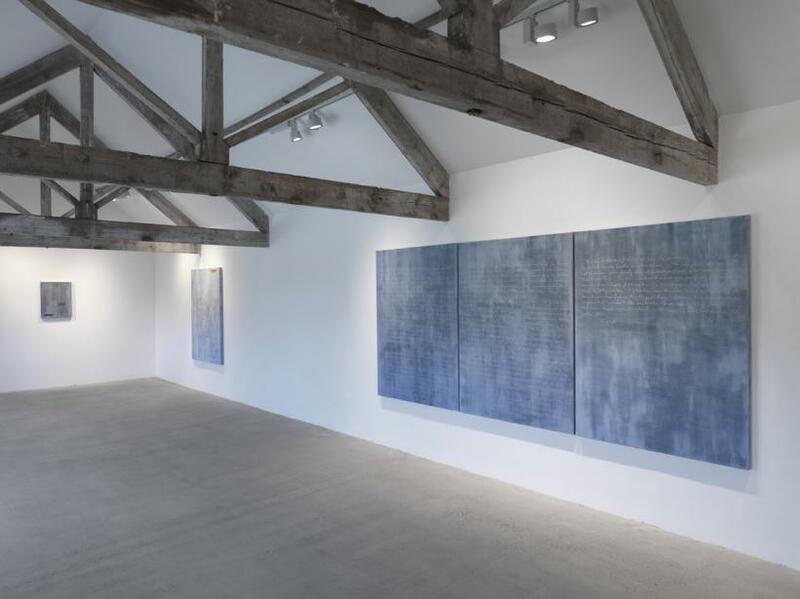 There are also a number of ‘Redaction Paintings’ in which colour is applied to the blown-up photocopied documents, serving only to labour the Rothko connection. 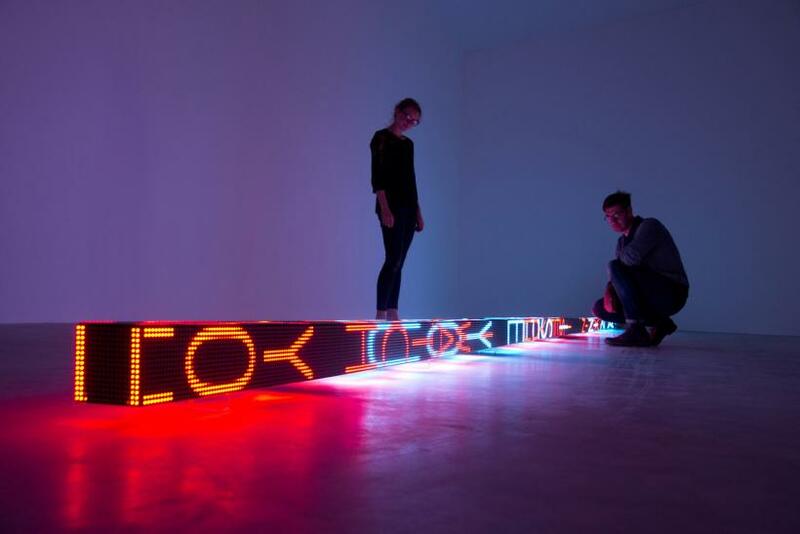 Like many artists using text, Jenny Holzer chooses the written word as her medium because it is instantly decipherable to anyone that speaks the language. Her ideas transcend the gallery, where they address social and economic politics, while often co-opting consumerism to do so. In the physical world this is enabled by her printing of selected ‘Truisms’ onto a range of tee shirts, tea towels, and postcards available in the gallery shop. 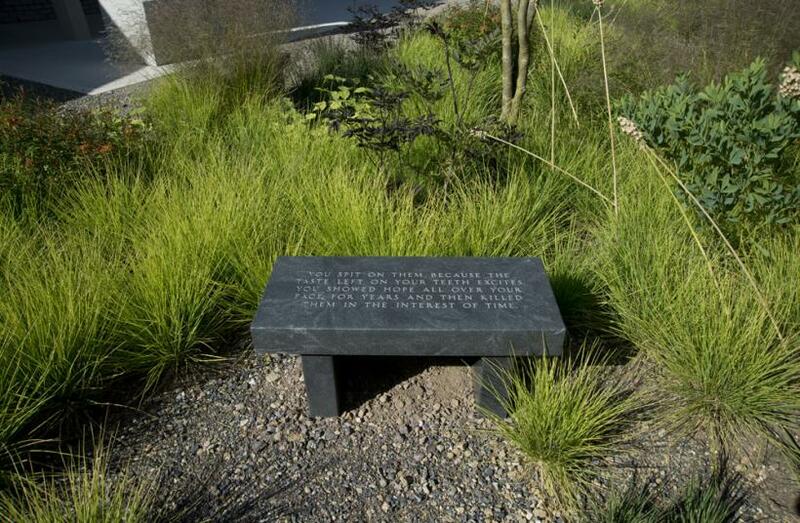 This sense of democracy is the essence of these works, and speaks volumes of the connection that exists between Jenny Holzer, her work, and her audience.